NATIVE AMERICAN NIGHTS CD. BY NIALL. Niall returns with a calming tribute to the Great Indigenous People of North America. 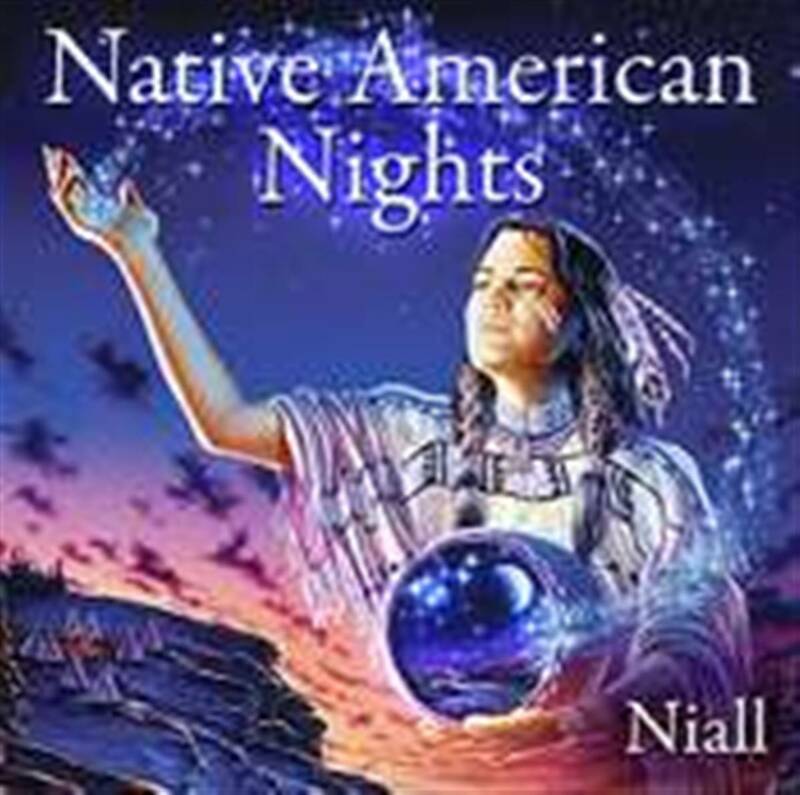 Native American Nights is a beautiful relaxing album that invites the listener to a place of tranquility around the camp fire under a wondrous starry night sky. Featuring authentic native flutes and soft skin drums actually made by the Blackfoot Tribe, Native American Nights also includes subtle natural sounds (distant thunder, wolves, gentle river) authentic chants, along with gently picked acoustic guitars and ethereal keyboard textures.